Goodbye, Google Reader. And Now What? In case you haven’t heard, Google announced that it is doing away with the old standby blog feed reader which was so appropriately named “Reader”. Unfortunately, this is how nearly 1,000 of you read my blog according to the Reader statistics thingie. If you are currently following me through Google Reader, you’ve got a few options on how you can easily continue to get my content on your screen if you so choose. I’m honestly humbled to have a great readership like you guys, and I hope you will continue to stick around even if your morning coffee & blog reading routine has totally been thrown by this announcement! The simplest way is to subscribe via email and have my posts come straight to your inbox. If you don’t like to clutter up your inbox with my blog posts (it’s ok, I understand) then you might have to find yourself a new way to read blogs. 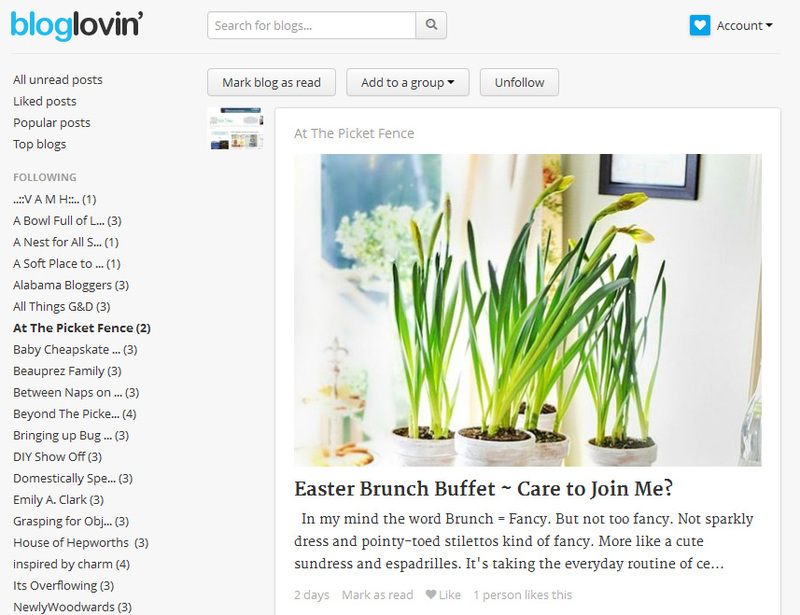 Most people in my niche are recommending Bloglovin‘ or Feedly. From my down and dirty research, I’ve discovered that the look of Feedly is similar to a magazine or blog layout. You can easily organize the blogs you read into categories so you can see specific groups of friends/family/associates at a glance. If you had your Google reader categorized already, the import setting will bring your previous categories right into Feedly easily. The format is nice and clean but it does have more of magazine feel instead of just a straight scroll down folder simplicity of Google Reader. Here is a screenshot of my Feedly so you can see the layout. Here are two important tips for reading blogs in Bloglovin. First, you can import all the blogs you currently follow in your Google Reader with the click of a button in the Account Settings. Just click “import blogs” and choose Google Reader, and it will automatically import your current RSS feeds. If you read blogs with the frame around them, you won’t be able to pin all the pretty pictures, but if you remove the frame you should be good to go. Hope this helps some of you out! Thanks to DesignDreams by Anne for sharing this tip with me! I SOOOO appreciate all of you who want to read my posts and stick with me through this change! Hope to see y’all on the flipside! Rest in Peace, Google Reader. 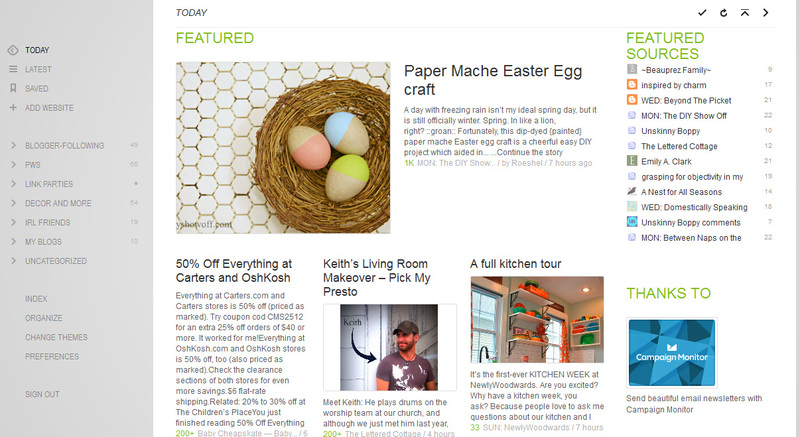 I’m still in mourning over Google Reader, but so far, I’m liking Feedly. Thanks for sharing the options. Beth- thanks for summing it all up with the options. I have had my head in the sand and need to start letting folks know. How’s your vaca? Thanks for explaining these crazy changes my friend! why all these changes google? I’m finding not all change is a bad thing. There are already a few bonus points that I’ve found with bloglovin’ + I’ve already added you to my bloglovin’ feed. Great post. Can you tell me where I look to see how many folks are reading my blog via the reader? I mean if it’s one I’ll just email them with the info instead of doing a post. HA! you crack me up. OK, so in Google Reader, you’ll have to subscribe to your own blog and have it open in Reader, then click on Feed Settings, then click on View Details and Statistics and it will show your number of subscribers! Beth, I’m confused. I know Google Reader is going, but is the list of the blogs you subscribe to going? I have a page (it says “Blogger” at the top and “Reading List”) that lists them and updates with a snapshot and then I click on the blog title if I want to go and read it, is that going too? Those are the blogs you follow through Google Friend Connect, right? It has been retired for all non-blogger blogs, but it still works for folks on Blogger for now. If you ever leave blogger you won’t have access to it anymore and would need to transfer all the blogs you follow over to a new reader. Until then, hopefully it will stick around for you for a while. Oh dear, still more reading to do on the topic, thanks! great info. 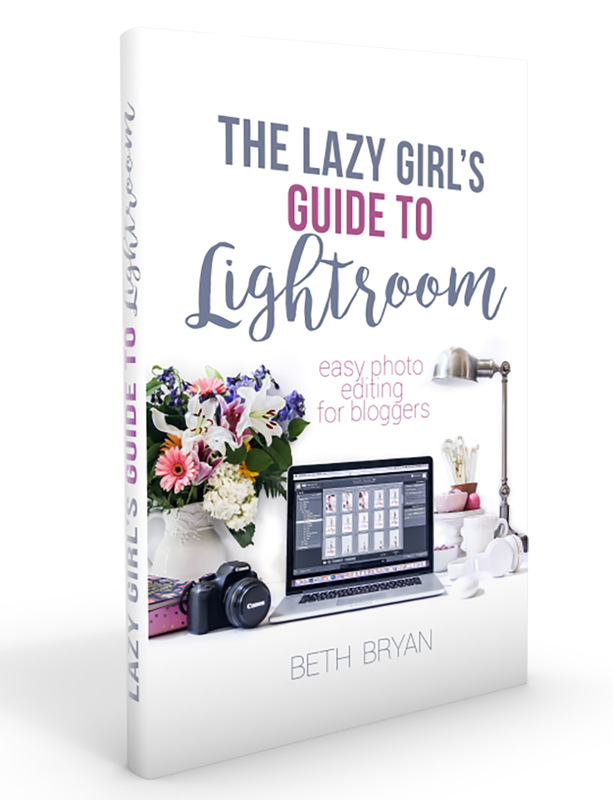 How do I get the bloglovin button for my blog? Under your bloglovin account settings there is a link for “follow buttons” You’ll find lots of options there!